Bega Valley Advocates for Timor-Leste is a small volunteer NGO with a friendship link to the Barique-Natarbora Sub District in Timor Leste. This subdistrict comprises five sucos (villages) located on the south coast and hills of East Timor. It is isolated and poorly serviced by roads, government services and NGOs (local or international). All volunteers travelling to East Timor pay their own way, and all monies donated are used to directly support the communities. The Bega Valley Advocates for Timor-Leste was formed out of a resolution at a public meeting held on 28 May 2004. The aim was to assist the people of our small neighbouring country to whom we owe a debt of honour for helping our soldiers during World War II. The charter for the group was to "advocate for the people of East Timor" with the goal of providing physical, financial, intellectual and practical support after consultation with the local community. The Bega Valley Advocates for Timor-Leste was incorporated as a Not-for-Profit Organisation on 20 October 2004. In October 2004, a Friendship Agreement was signed by Bega Valley Shire Council and the Bariqe-Natarbora Sub-District. Join the group and attend meetings which are held on the first Tuesday of each month (except January & July) at Sapphire Coast Anglican College at 5:30 pm. Annual membership fee is $10. 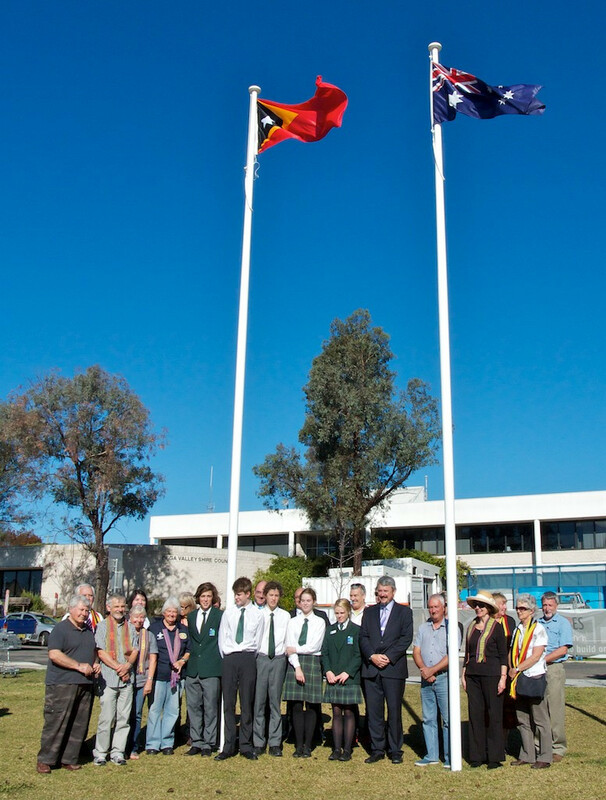 Attend the flag raising ceremony held in Bega in May to celebrate Timor Leste Independence Day. Travel to Timor Leste and help out with a current project or volunteer for a Rotary team travelling there. Support fund raisers such as Choirs for Timor held in Bega in October. Make a donation. For tax deductability, please make the donation via AFAP naming BVATL as the recipient. Otherwise you can donate directly to BVATL. 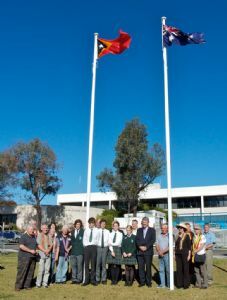 Every year to mark Timor Leste Independance Day, members of the Bega Valley Advocates for Timor Leste and Council gather in Littleton Gardens for a symbolic flag raising ceremony. For more information visit the Bega Valley Advocates for Timor-Leste Facebook page or website.